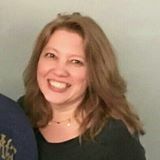 Looking for Chick Craftivities? These baby chick activities for toddlers and kindergartners are perfect companion book projects for the lift-the-flap- book, In Over and On the Farm, by Ethan Long. 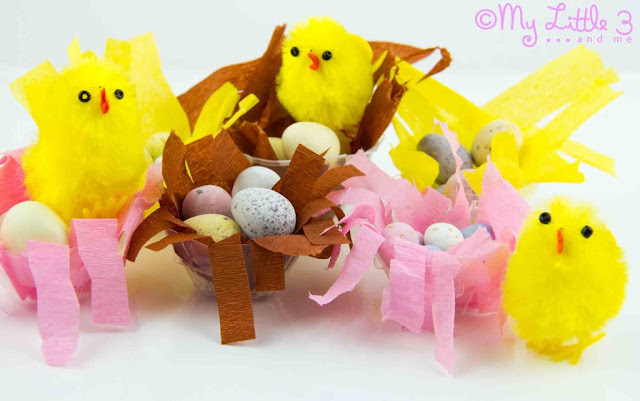 In need of baby chick craft ideas for Easter? This little chick is cute enough to give as an Easter card too. Enjoy! This is also a good preposition book for kindergarten. Inside the book, you'll find cute farm animals pictures by author/illustrator Ethan Long. 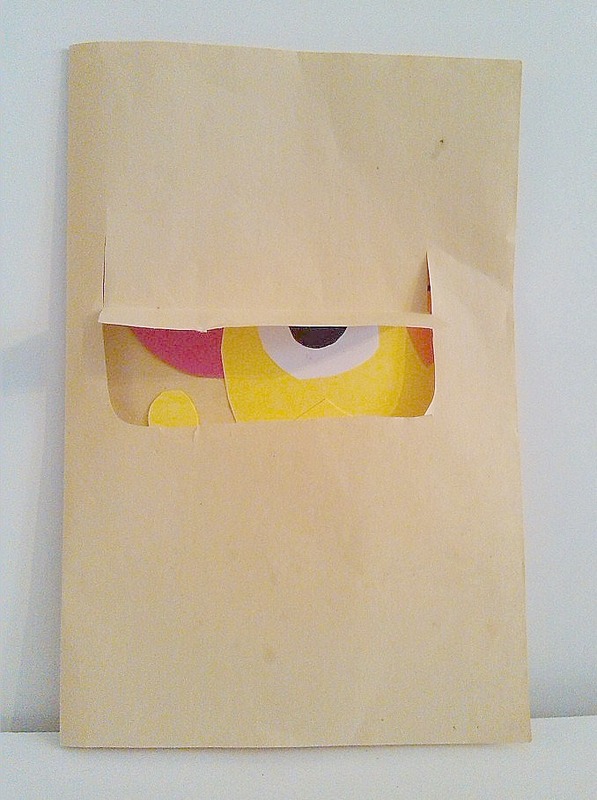 Lift the flaps to see cute animals and this silly baby chick inside, over, on top, under and more. Baby Chick Crafts Projects: Make a Chick in a Coop. So, we designed a chick in a coop. Open the flap and peek inside. It is simple to make this card. Just fold a piece of paper in half lengthwise and cut a hole out of the middle. If you want to get extra crafty, decorate the front of the card with a chicken wire pattern. To make the chick, hand draw or trace the little chick in the book. We gave him dimensions, by cutting out each body part. 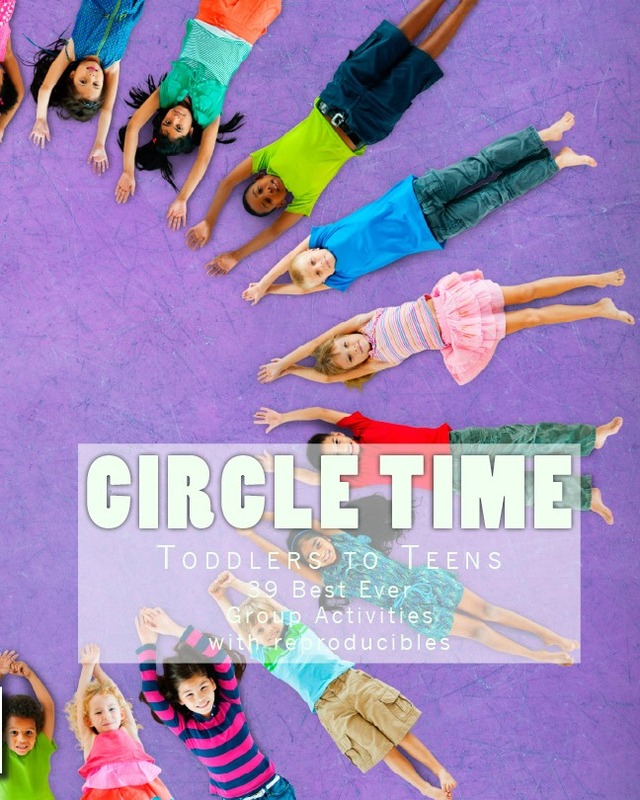 This also gives little ones something to manipulate while they work on fine motor skills. Cut out a body, a wing, a beak, a comb, and an eye and let the littles place them where they see fit. It is fun to see the chick through their eyes. They likely won't put it in "proper" order. That's okay! Make a memory, don't pressure them to make them do it as you see it. Play peek-a-boo with the little chicken. 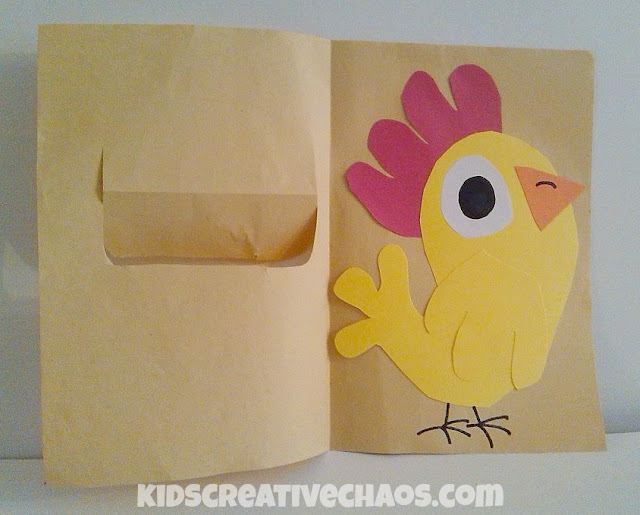 This is a fun Companion Craft for the Lift the Flap Book, In Over and On the Farm, by Ethan Long. 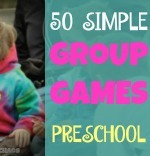 It is a fun way for preschoolers to learn about prepositions. 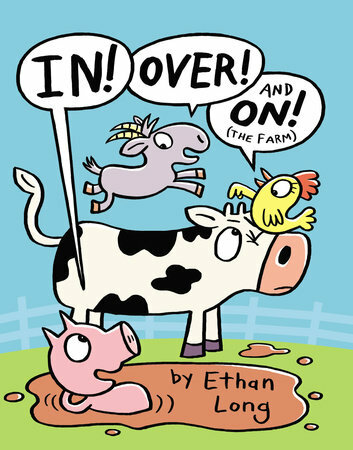 Farm Book: In Over and On the Farm, by Ethan Long. 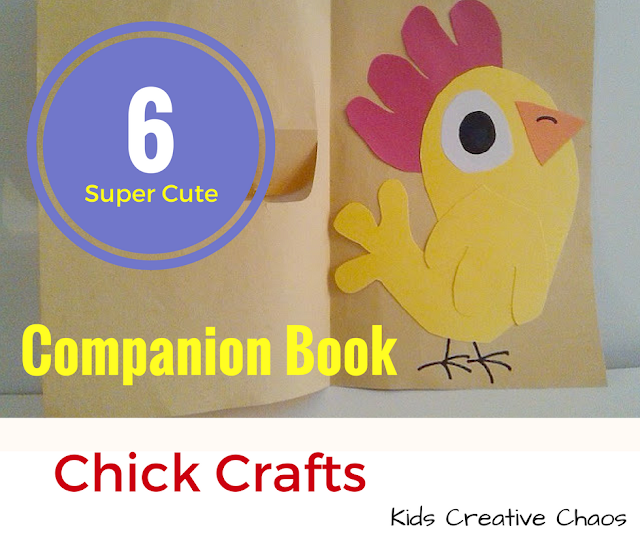 After you read the book, try one of these cute Chick Craft Ideas. These chicks in a nest are adorable, and they're "IN" a nest. Which helps teaching prepositions. Find more about them on the blog, Kids Craft Room. Chicks in a nest craft is fun for Easter or any time. 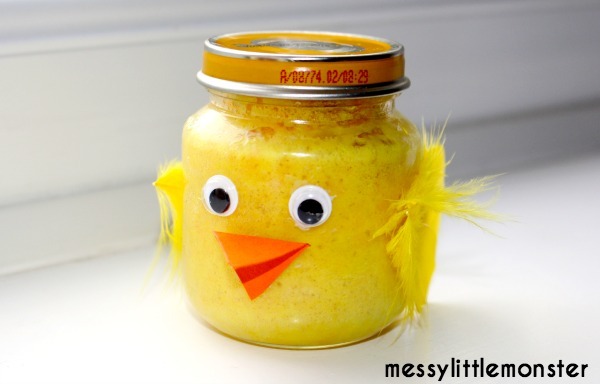 Make edible art with this Chick in a Jar Cake from Messy Little Monster. Cake in a jar edible chick from Messy Little Monster. 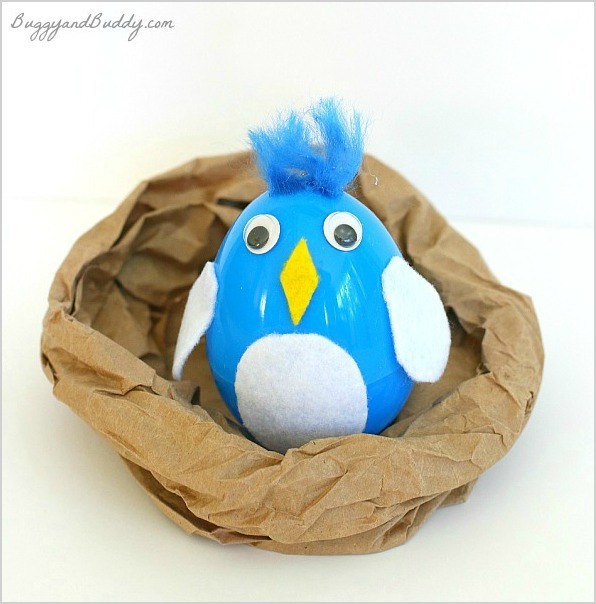 Make this Baby Chick in a Nest Craft with Plastic Easter Egg from Buggy and Buddy. Bird in a nest with plastic egg by Buggy and Buddy. Cute Paper Bird in Nest Craft. 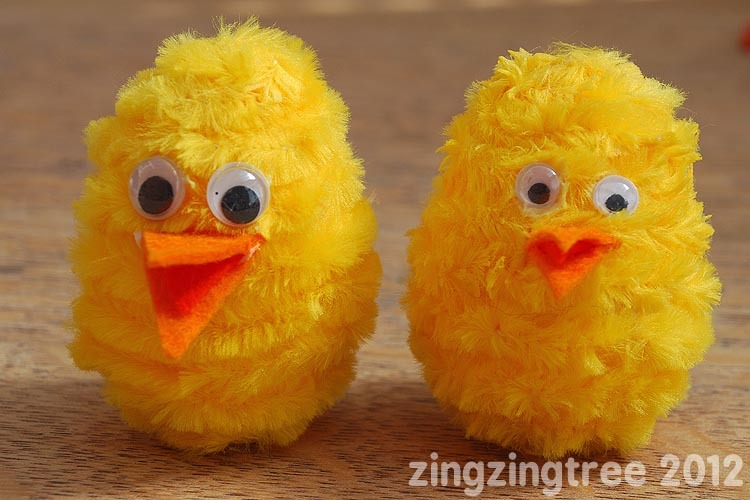 This Easter Egg Chick Craft from Zing Zing Tree is adorable! Plastic egg chick craft idea. 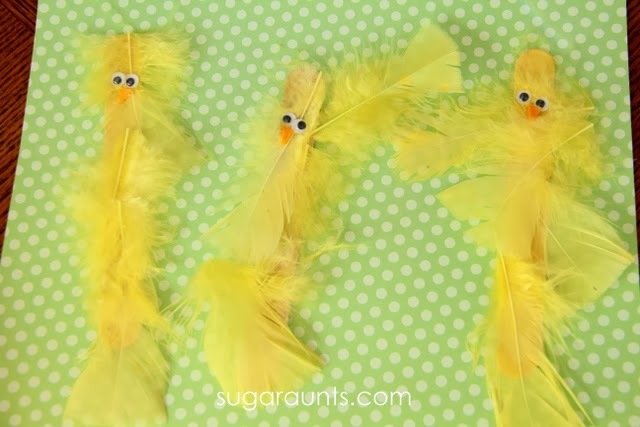 These chick popsicle stick puppets from Sugar Aunts are so cute! Use them to retell the story. Is the chick over, under, on, in, or above the nest? Chick popsicle stick puppets from Sugar Aunts.